Established in the year 2009, we, “Mansi Instruments”, engaged in Manufacturing, Exporting and Wholesaling optimum quality Electronic Weighing Scale. The offered array has Electronic Weighbridge, Mechanical Weighbridge, Electronic Weighing Scale, Concrete Weighbridge, Drum Handling Equipment and more. We procure the offered products from the most authentic vendors of the industry. These vendors are selected by our professional after checking the quality of their offered products and credibility. Further, at our infrastructure, our quality controllers check the offered products to ensure these are able to meet the requirements of industries like engineering, pharmaceuticals, chemicals, textiles, petroleum, bulk drugs, sugar, steel, power, food processing, paper and printing units. The demand of our offered products are high as these are durable, ensure optimum performance, sturdy in construction, perfect design, easy to use and need less maintenance. We export these products to African Countries, Bhutan, Nepan, Iraq, Iran, Saudi Arabia, Dubai, Gulf Countries, Bangladesh. In India we are supplying our products to Ahmedabad, Baroda, Vadodara, Rajkot, Mehsana, Gandhinagar, Amreli, Anand, Banas Kantha, Bharuch, Bhavnagar, Dadra & Nagar Haveli, Dahod, Daman & Diu, Godhra, Kalol, Jamnagar, Junagadh, Kachcha, Kheda, Narmada, Navsari etc. We store the offered products at our spacious warehouse to cater to the bulk & immediate requirements of patrons. Moreover, our professionals ensure that our offered products are provided to patrons in accordance to their given specifications. Under the guidance of our mentor, 'Mr. Fulesh Patel', we have been able to attain higher level of patron satisfaction. 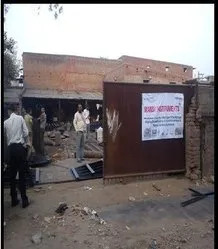 To maintain the trust of patrons, he follows ethical business policies. 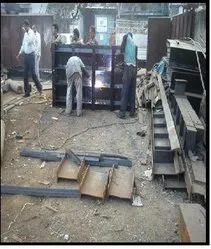 Manufacturing, Trading, Importer of Weighbridge & Weighing Scales. Under the proficient guidance of our director, Mr. Fulesh Patel, we are able to cater to the varied requirements of patrons. He has vast industrial knowledge, experience and excellent business skills. Supported by which we are able to provide our patrons with a high-grade array. Moreover, he is a man of morals, follows ethical business policies in all his business dealing and encourages us to abide by the same. Owing to which we have been able to gain the trust of patrons and patrons-base is rising. He helps his employees to smoothly execute the distribution process. Our core values are integrity, respect, imagination, innovation, passion. Our service is the value that bridges our past & future. It reflects our reliability, quality and excellent performance for our clients and our goal is to create. Our mission is to provide innovative products that meet our customer’s needs by supplying high-quality material handling equipment at a competitive price. The combined talents of every employee will ensure our customer’s specifications are met and their expectations are exceeded. 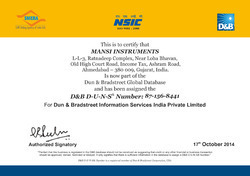 Duns number & dnb registration certificate. We are an accredited firm engaged in exporting and distributing a broad array ofElectronic Weighbridge, Mechanical Weighbridge, Electronic Weighing Scale, Concrete Weighbridge, Drum Handling Equipment and more. Offered products are widely demanded by patrons as these are manufactured by making use of high-grade raw material at our vendors' end. Prior to delivery, we check these products to ensure that these are able to meet the requirements of our prestigious vendors. D & B number certified. We maintain the goodwill and reputation of our firm through untiring efforts of our team of dexterous professionals. Our team includes experienced and talented staff who by making use of their in-depth knowledge and expertise of their respective domains, enhance the overall efficiency & production level of the organization. These professionals also take the responsibility of selecting the vendors and making them understanding the requirements customers. 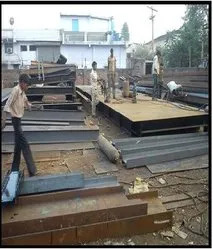 Prior to dispatch, additionally, we make the offered array of Electronic Weighbridge, Mechanical Weighbridge, Electronic Weighing Scale, Concrete Weighbridge, Drum Handling Equipment and more. pass a quality test to ensure their flawlessness. In an order to ensure the satisfaction of patrons, we are engaged in offering a quality assured array of Electronic Weighbridge, Mechanical Weighbridge, Electronic Weighing Scale, Concrete Weighbridge, Drum Handling Equipment and more. On an aim to ensure the quality of these products, we procured these from prestigious vendors. We provide these products to patrons as per their given specifications so as to cater to their requirements.